I have a confession to make. 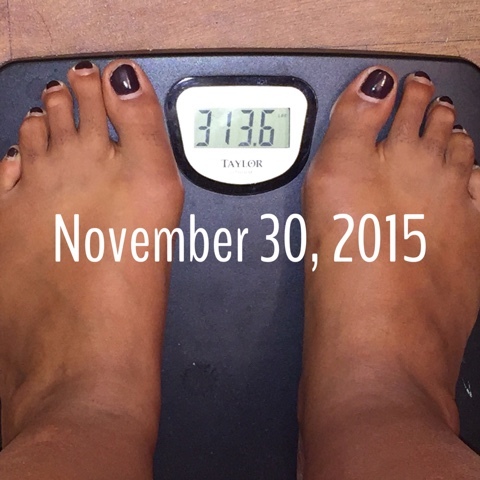 I have been too ashamed to post my weight on my blog for quite a while. Although my weight gain has surely been documented in photos that I've posted, I have not felt very compelled to share the EXACT amount of re-gain I have experienced. It's embarrassing. And I've felt some kind of way about it. But now I'm ready. Because it's time. I've been well over 300 lbs again for quite some time. I was hovering around 300 lbs when I started my first 24-day Challenge in May 2015. I got down to about 280. But with the end of the school year, my birthday, my hysterectomy, and the move to Florida, that 20 lbs came back and then brought some friends. I weighed twice on the gym scales over the summer (because I'd donated my own sets of scales when I moved). On July 27 I weighed 307. On August 16 I weighed 312. On November 30, 2015 I committed to start taking this journey seriously again. 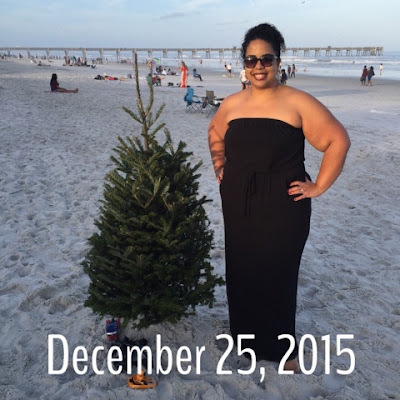 I stared my wonderful Facebook support group, and I took extensive before photos in a bikini. I weighed 313.6. Well, the holidays isn't the best time to try to lose weight. I tried for a few weeks, but dove right off the wagon when Christmas depression set in. The loss of my mother in August was particularly hard for me around Christmas. The first Christmas without my mother being on this Earth was painful. And I medicated with food. At this time, I was EXTREMELY uncomfortable. My knee, back, and foot pain was almost unbearable. I knew I had to do something. And I didn't want to wait for new years. On Monday, December 28 I restarted for what I hope will be my LAST time. I was SO disappointed. My all-time highest weight was 333 lbs. When I started again back in December 2012 I was back up to 319. I COULD. NOT. BELIEVE. I was almost BACK to 319. I have steadily been at it since December 28. And as of weigh in yesterday, I am officially back in the 200's. I started out with no sweets, less carbs, more water. Hell... just TRYING helped. But even after a couple of weeks I was still struggling. So I started another Advocare 24-day Challenge on January 11. 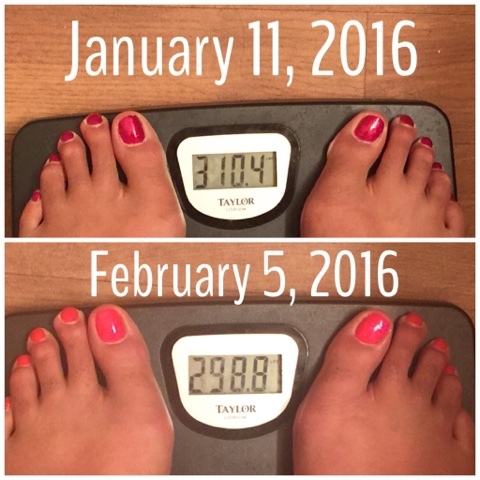 It just ended on Thursday, but I wasn't able to weigh-in until Friday (I've been out of town). 17.6 lbs total, and 11.6 while on the challenge. Not too shabby. Lowering carbs (which some say is a no-no while on the challenge, FYI) and taking my supplements definitely helped. Especially with energy and hunger control. But over the last week since officially starting Keto, my hunger is GONE. I was able to go on an unexpected road trip for two days and not cheat ONE time. AND drink my water! No excuses. No cheats. That's how I will succeed this time. I am beating food addiction one good choice at a time. My body is rewarding me with less pain and more energy. My clothes are looser and I'm finally starting to feel better about what I see in the mirror. I will not quit. I will always keep trying. My quality of life depends on it. WoWsers girl! You have done an amazing job! And gee you look gorgeous in that beach shot at christmas! Yep - quality of life is what it is all about! Girl, you are doing an AMAZING JOB! Keep up the good work!!!! Way to Go! I too am on Keto and loving it! Good luck and can't wait to follow you on your journey! I just discovered your blog, its good to see your commitment! I've tried to keto too, but in the end I missed fruit. But, it sure works like to drop the weight! I just found your blog. 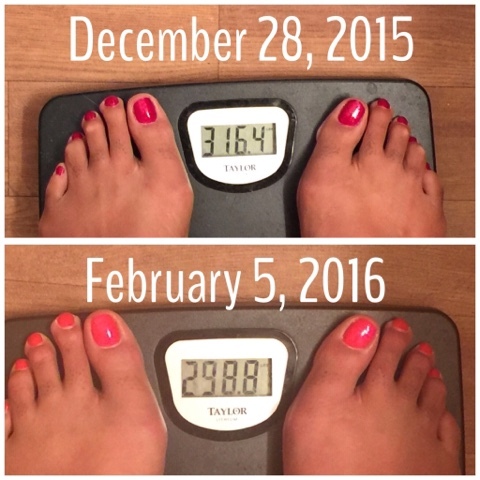 I too blog about my ups and downs in my weightless journey. Way to go for getting back at it. I look forward to following you on your journey as I work on mine. Yayyy Hollie I'm so glad you're doing Keto. Been a longtime follower, battling to get under 300 in the next few months myself and this post made me so happy!! I do so much better when I CONSCIOUSLY make sure my carbs intake is below my protein intake. While keeping my proteins at 140-160 (just what works for me) the whole "no carb" route always made me feel wonky... no giving up! A day at a time! I too am starting back. i too am ashamed to post my weight. I just received my Type 2 diabetes diagnosis too...yay! (Sarcasm) So...if you aren't diabetic yet - and I hope you aren't - it is another very strong thing to put on your "Reasons I want to get Healthy" list! Never stop - never fail! Any progress is good progress. I love how many times you mentioned water-you're on to the secret there. Good job & good luck.